Across the world, 1 in 9 people are hungry. There are many ways you can help. From raising awareness to donating funds, your time and generosity can save and change lives across the globe. By making a tax-deductible donation today, you can provide hungry children and families with the food they need to survive and build a better future. Use your creativity and passion to take an active role in the fight against hunger by creating your own fundraiser. You can be the difference between a child going to bed hungry or waking up with a nourishing meal. Set up your monthly, sustaining, lifesaving gift today. Including World Food Program USA in your estate plans is a meaningful way to help us end hunger and malnutrition. With a tap on your smartphone you can "share the meal" with a child in need. For every correct answer you choose, 10 grains of rice are donated to WFP to help end hunger. We are proud to collaborate with leading U.S. companies to build partnerships that enhance corporate social responsibility and achieve business objectives while saving lives across the globe. 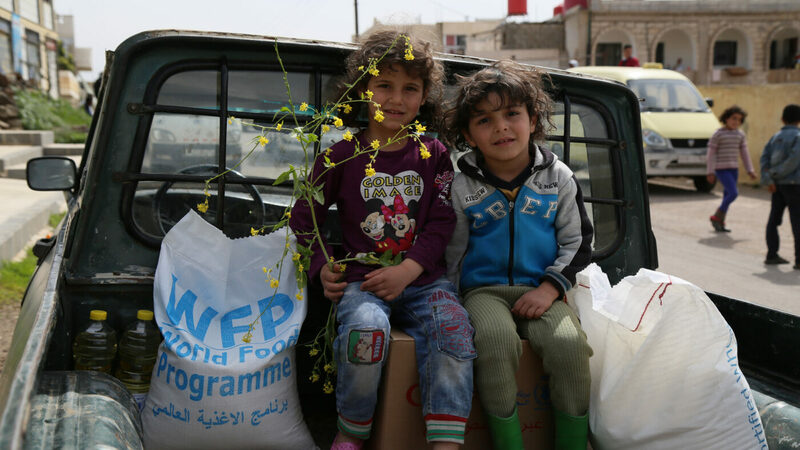 Support WFP through workplace giving. See if your company will double your donation today. Our foundation partners help feed the future of thousands of people worldwide and help communities get back on their feet after an emergency. Women in crisis need your help. Your signature is powerful than you know. Sign our pledge today. Of the 821 million hungry people in the world, 60% are women and girls. Help spread the word.